During the summer break, some of our students at the AGHS are participating in a week long activity, learning how to make metalwork sculptures. This is a very popular vocation in Haiti, and we are delighted to be able to offer this program for the first time this year. 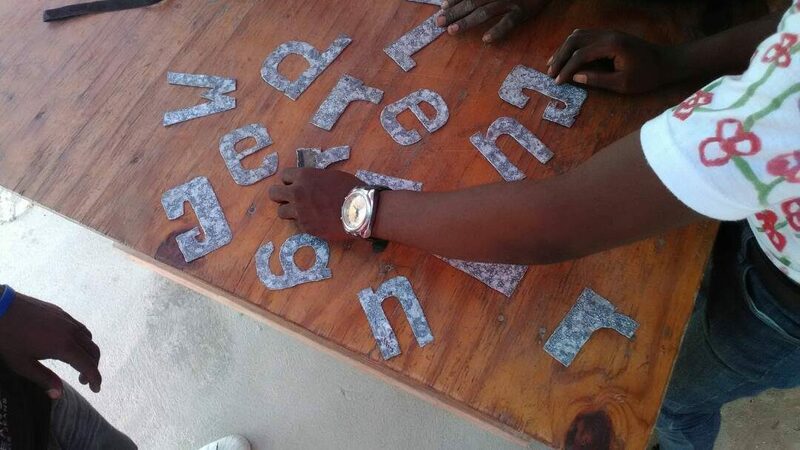 Yesterday the students learnt how to make letters as shown in the photo. Activities such as these are only possible with your continued support, and all at the Andrew Grene Foundation thank you.